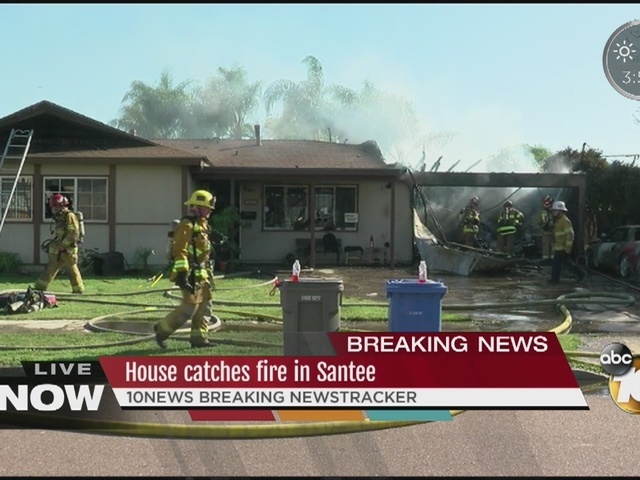 Two house pets were killed Wednesday afternoon in a fire that erupted at a Santee home. The fire broke out shortly after 3 p.m. at a house in the 9200 block of Willowgrove Avenue, near Carlton Hills Boulevard, according to authorities. 10News learned a woman in the home heard her smoke alarm go off and ran out of the home. Responding firefighters were able to get a dog and cat out of the house, but attempts to revive them were unsuccessful.